Approximately 50 million people worldwide have epilepsy (1). Every year, 150,000 new cases of epilepsy are diagnosed in the US (2). This neurological disorder causes recurring seizures in the affected individuals. Do you find yourself staring blankly into space all too often or do seizures cause you to twitch your arms/legs repeatedly? While a seizure can manifest itself in more than one way, it definitely cannot be ignored. If you want to know what causes epilepsy and seizures and how this condition can be treated, read on. What Are the Types Of Seizures? What Foods Are Good For Epilepsy? Epilepsy is a common neurological disorder that causes the activity of your brain to become abnormal and cause seizures. This central nervous system disorder can trigger periods of unusual behavior and sensation, and in some cases, even loss of awareness. The nerve cells of your brain are usually affected and cause seizures. Seizure symptoms may differ from one person to another. While some people may stare blankly while experiencing a seizure, others may repeatedly twitch their arms or legs. However, if you experience a single seizure, it doesn’t imply that you have epilepsy. Doctors usually classify seizures into two types depending on how the abnormal brain activity begins. Focal Seizures Without Losing Consciousness – They were referred to as simple partial seizures in the past. Such seizures only alter emotions or sensations – like the way things smell, look, taste, sound, or feel. They can also cause involuntary jerking of body parts but do not cause loss of consciousness. Focal Seizures With Impaired Consciousness Or Awareness – They were referred to as complex partial seizures. They involve a change or loss of consciousness/awareness. During such seizures, the affected individual may stare blankly into space without responding normally to their surrounding environment. The affected individuals may also do repetitive movements like hand rubbing, swallowing, chewing, or walking in circles. Most often, the symptoms of focal seizures are confused with other neurological disorders, such as narcolepsy, migraines, or mental illness. Thorough testing will help prove otherwise. Absence Seizures – They were referred to as petit mal seizures in the past. This type occurs in children and is characterized by staring into space or subtle movements, such as lip smacking or eye blinking. They occur in clusters and may result in a brief loss of awareness. 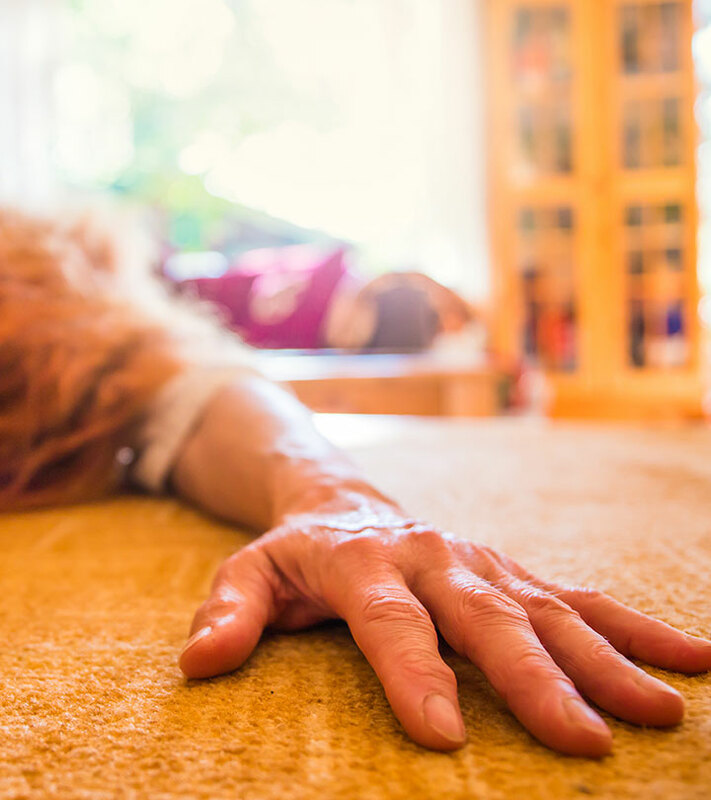 Tonic Seizures – These cause stiffening of the muscles and usually affect the muscles of the back, arms, and legs, which can also cause you to fall on the ground. Atonic Seizures – They are also known as drop seizures. Such seizures can cause loss of muscle control, which may result in the affected individual suddenly falling or collapsing face down. Clonic Seizures – These are associated with repeated or rhythmic jerking movements of the muscles that tend to affect the neck, face, and arms. Myoclonic Seizures – This type causes sudden and brief jerks or twitches in your arms and legs. Tonic-Clonic Seizures – They were referred to as grand mal seizures before. This type is the most dramatic type of epileptic seizure. It can cause a sudden loss of consciousness, body stiffening and shaking, and in some cases, loss of bladder control or biting of the tongue. The origin of this type of seizure remains unknown, and it usually manifests itself by a sudden extension of the extremities. Such seizures also tend to reoccur in clusters. You must have already understood by now that the main symptom of epilepsy is a seizure, whose symptoms may vary depending on the type. The exact cause of epilepsy has not been traced in about half the affected population. However, in the other half, the following causes may be responsible. Some factors can also put you at higher risk of developing epilepsy. Age – Although epilepsy can occur at any age, it is more common in children and older adults. Heredity – A family history of the condition increases your chance of developing epilepsy. Dementia – It can increase the risk of epilepsy in older adults. Seizures in childhood – Those who have suffered long seizures during their childhood are at increased risk of developing epilepsy. If you notice that you have been experiencing any of the following symptoms, seek medical help immediately. Your seizures last for more than 5 minutes and have occurred more than once. The second seizure occurs immediately following the first. Consciousness and/or breathing doesn’t return even after the seizure stops. You feel exhausted due to the heat. You injured yourself while experiencing a seizure. Once you visit a doctor, they may help diagnose your condition via the following analyses and tests. A neurological examination to test your behavior, motor abilities, mental function, and other such areas to determine the type of epilepsy you are have. Blood tests to look for signs of infection, genetic conditions, or other health issues that could have contributed to the development of epilepsy. To detect brain abnormalities, your doctor may also suggest tests like an electroencephalogram (EEG), high-density EEG, computerized tomography (CT) scan, magnetic resonance imaging (MRI), and functional MRI (fMRI). 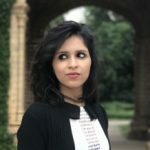 Along with these tests, your doctor may also use a combination of analysis techniques like statistical parametric mapping (SPM), curry analysis, and magnetoencephalography (MEG) to pinpoint the area in your brain where the seizure may have started. Once the tests indicate positive diagnosis, your doctor may prescribe any of the following treatments depending on the type of epilepsy you have. Doctors usually begin the treatment for epilepsy with medications. Most individuals experiencing seizures are given one anti-seizure medication to become seizure-free. Such medications are also commonly referred to as anti-epileptic medications. Finding the right dosage and medication can be difficult, but your doctor will help you out. It is likely that they will start with a low dosage of a single medication and go on to increase the dosage gradually until your symptoms are well-controlled (7). If medications don’t help in controlling epilepsy symptoms, your doctor will move on to the next option – surgery. Epilepsy surgery usually aims at removing the area of the brain causing the seizures (7). Following surgery, the patient may still have to take anti-seizure drugs in small doses to prevent the seizures from recurring. In some cases, surgery may also lead to permanently altered thinking ability. Hence, it is advised that you talk to your doctor about their experience, success rates, and the complications involved before opting for surgery. Coping And Support – Affected individuals can go to support groups that have been initiated for epilepsy patients to share their feelings with others having the same medical issue. There are also a few natural ways that can help control the recurring seizures. The below remedies can assist ongoing medications to give better results. 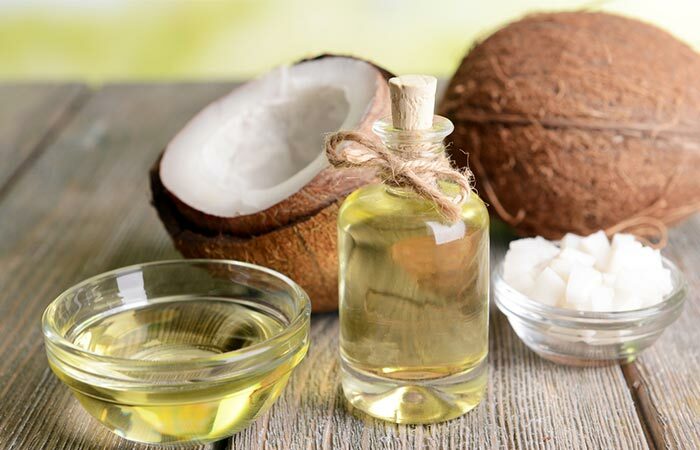 Replace refined oils with coconut oil for cooking. You can also add coconut oil to your favorite dishes and salads. You can do this on a regular basis. The powerful antioxidant properties of the medium-chain fatty acids in coconut oil were found to be effective in managing pharmacoresistant epilepsy (8). Take 10 mg of pharmaceutical grade cannabidiol daily. Consult a doctor before taking it. 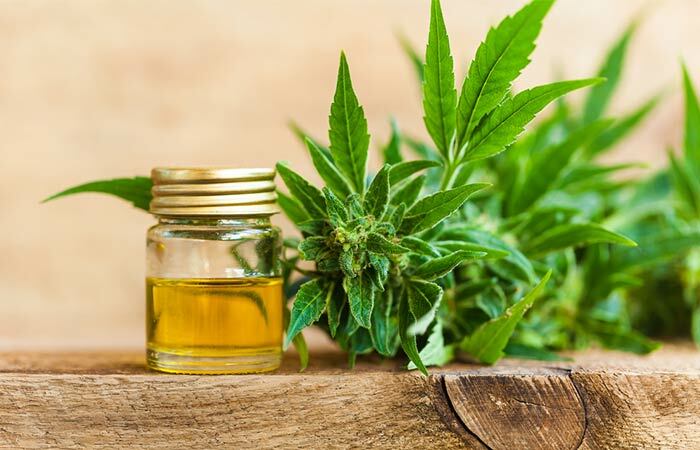 Individuals who did not exhibit any improvement in their seizures after taking antiepileptics showed notable improvement in their seizures on using cannabidiol as an adjunctive (9). Vitamins E, B6, and D3 have been observed to improve the symptoms of epilepsy. Deficiencies in vitamin B6 can trigger seizures, and restoring the levels might help in preventing or treating them (10). The anticonvulsant effect of vitamin D3 can also help in managing the symptoms of seizures associated with epilepsy (11). The co-administration of vitamin E along with antiepileptic drugs can also help improve seizures (12). Foods rich in these vitamins include poultry, fish, eggs, nuts, and green vegetables. If you want to take additional supplements for any of these vitamins, make sure to consult your doctor. Your diet also plays an important role in helping you manage epilepsy. Here’s how it can help. Dietitians often recommend a low-carb and high-fat diet to reduce the incidence of epilepsy seizures. Some individuals who have epilepsy are resistant to anti-seizure drugs. Ketogenic and modified Atkins diets are prescribed to such individuals (13). Here’s what you need to eat and avoid. Refined carbohydrates with high glycemic levels like pizza, soft drinks, white rice/pasta, cakes, bagels, and chips (14). Certain fruits and vegetables with a high glycemic index like mangoes, raisins, bananas, mashed potatoes, and dates (14). Gingko biloba – Some individuals are known to take gingko biloba supplements to help with the symptoms of epilepsy. However, this plant extract is known to interact with anticonvulsant medications, thereby triggering seizures (15). Remember, you must seek medical help to recover from epilepsy successfully. The above tips and remedies should only be used in conjunction with ongoing treatments. Also, it is best to consult your doctor before following any of the above remedies to make sure that none of them interfere with your ongoing medical treatment. Epilepsy does not have to deter you from leading a normal life. With proper care and by paying attention to your diet, you can combat this condition rather easily. Was this article helpful? Please let us know in the comments section below. Is exercising good for epilepsy? Lack of exercise has been linked to symptoms of epilepsy, like anxiety and depression. Hence, exercising is good for those who have epilepsy. It can also improve seizure control. Can you get disability from epilepsy? Yes, epilepsy can cause disability if the seizures are severe and frequent and end up interfering with your day-to-day activities. Can epilepsy change your personality? Yes, epilepsy is associated with changes in cognitive abilities, personality, and other behavioral elements. What is the best vitamin for epilepsy? Vitamins B6 and E were found to improve seizure symptoms. Vitamin B6 is used to treat a rare form of epilepsy known as pyridoxine-dependent seizure. This type usually develops in the womb or right after birth and is caused by the body’s inability to metabolize vitamin B6. In rare cases, the affected individual might die suddenly for no clear reason. In such cases, it is called Sudden Unexpected Death in Epilepsy (or SUDEP). It could be that the individual died during or after a seizure. If someone has been experiencing seizures for years without being able to control them, the condition is referred to as intractable epilepsy. “Epilepsy Across the Spectrum: Promoting Health and Understanding.” National Academy of Science, US National Library of Medicine. “Seizure, Simple Partial” StatPearls, US National Library of Medicine. “The Neurobiology of Epilepsy” Current Neurology And Neuroscience Reports, US National Library of Medicine. “3 Epidemiology and Prevention” National Academy of Sciences, US National Library of Medicine. “Seizures and Epilepsy: An Overview for Neuroscientists” Cold Spring Harbor Perspectives in Medicine, US National Library of Medicine. “Current treatments of epilepsy.” Neurology, US National Library of Medicine. “Effects of ketogenic diets on the occurrence of pilocarpine-induced status epilepticus of rats.” Metabolic Brain Disease, US National Library of Medicine. “Efficacy and Safety of Cannabidiol in Epilepsy: A Systematic Review and Meta-Analysis” Drugs, US National Library of Medicine. “Vitamin B(6) treatment of intractable seizures” Brain and Development, US National Library of Medicine. “Vitamin D3 for the Treatment of Epilepsy: Basic Mechanisms, Animal Models, and Clinical Trials” Frontiers in Neurology, US National Library of Medicine. “Effects of Vitamin E on seizure frequency, electroencephalogram findings, and oxidative stress status of refractory epileptic patients” Advanced Biomedical Research, US National Library of Medicine. 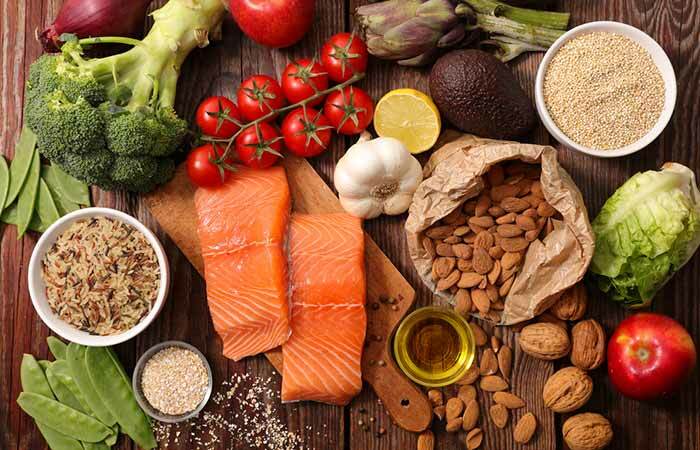 “The Ketogenic and Atkins Diets Effect on Intractable Epilepsy: A Comparison” Iranian Journal of Child Neurology, US National Library of Medicine. “Efficacy of low glycemic index treatment in epileptic patients: a systematic review.” Acta Neurologica Belgica, US National Library of Medicine. Journal of analytical toxicology, US National Library of Medicine.